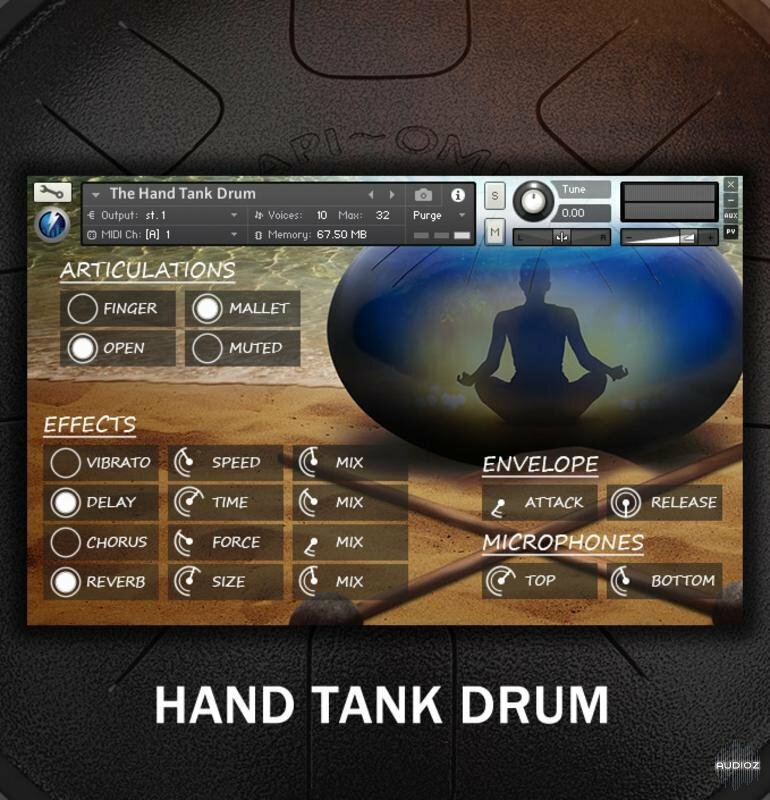 The Hand Tank Drum is the first Stormwave Audio’s Kontakt library featuring a very unique acoustic tuned percussion instrument with an other-worldly tone! 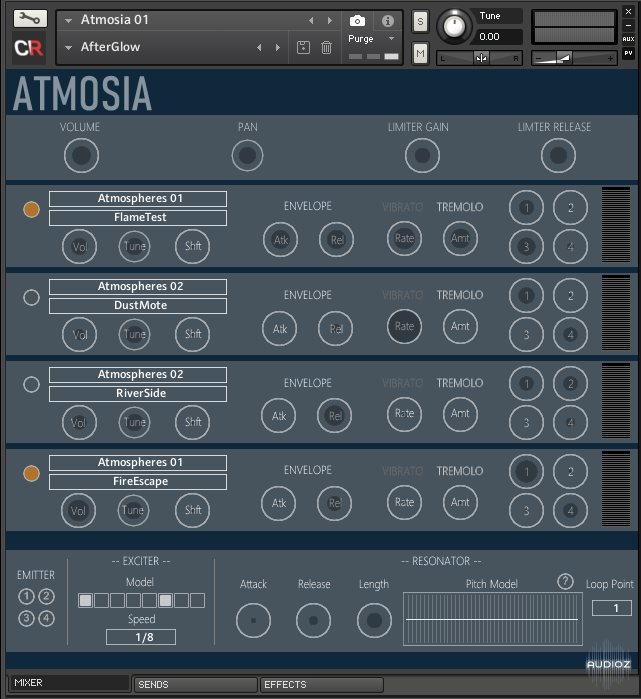 Atmosia is a unique take on producing drone sounds, using our 4-voice Recoil playback engine. The bodhran is an Irish frame drum with an open side so one hand can be placed against the inside of the head to control the pitch and timbre. Bluegrass fiddling is a distinctive American style characterized by bold, bluesy improvisation, off-beat “chopping”, and sophisticated use of double stops and old-time bowing patterns. The fiddle is one of the most important instruments in Celtic music. The fiddle itself is identical to the violin, however it is played differently in widely varying regional styles. EPIK4 Kontakt edition is a sample library based on the sounds of KAWAI K4 synthesizer from the late 80s. The KAWAI K4 was released in 1989 as a competitor of Roland D-50. In this point of view, EPIK4 can be considered as a sister of DEEPFLIGHT, but while the Roland D-50 has a warm analogue character, the K4's digital filter gives you fuzzy but still warm sounds. GOA is a unique dark ambient soundscape generator. 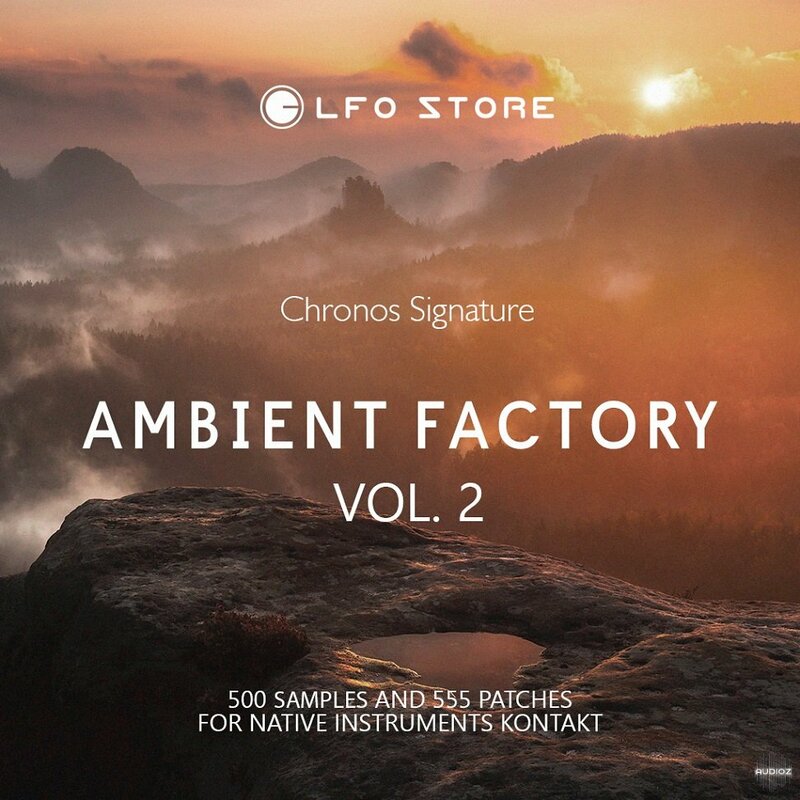 Its 25 patches, each provided with 8 layers loaded with picturesque autumnal sound samples, enable you to create eerie, unsettling, but also dreamy and serene evolving atmospheres instantly. 1979 Crumar General Development System, GDS Shimmers. GDS Shimmers was the first patch programmed in the voice editor when the full system was returned to working order for the first time in many years during major restoration in late 2014. Perhaps one of the most influential of the JC Deagan instruments is the orchestral marimba as we know it today. As well as being synonymous with high quality tuned percussive orchestral instruments, JC Deagan also specialised in musical bell design with exceptional tonal qualities. For a short period of time JC Deagan produced a series of small electric carillons based on arrays of skilfully tuned chime rods tube amplified by pickup coils and actuated by solenoids and felt dampers. Built circa 1946, it is one of these rare instruments that formed the basis for this sampled offering following the overhaul of the amplifier chassis much in need of new capacitors after nearly 70 years of service. Past To Future Samples has announced Petty Drums, a free drum sample library for Native Instruments Kontakt that brings the sound of Tom Petty drums to your DAW. The multirack instrument includes kick, snare, snare rolls, closed and open hihat, toms, crash and ride cymbals. Big, fat and open sounding drums of the mid 90’s Petty records! After reimagining Versilian Studios' Etherealwinds Harp, Galactiq delivers everything you'd expect from a free instrument. Combine the ethereal sound of the harp with a flute and spice it up with the simplicity of a sine wave. The result will be surprising. The S90 ES combines a stunningly natural acoustic piano sound with all the sonic flexibility of the award winning Motif ES. A new multi-velocity, stereogrand piano sample, the new sound board simulation and the half-damper capability (when used with the Yamaha FC3) all ensure a rich and realistic acoustic piano sound. The 128-note polyphony tone generator, Studio Connections compatibility, mLAN expansion slot, and PLG expandability give it all the synthesis power and control capabilities of our Motif ES line. 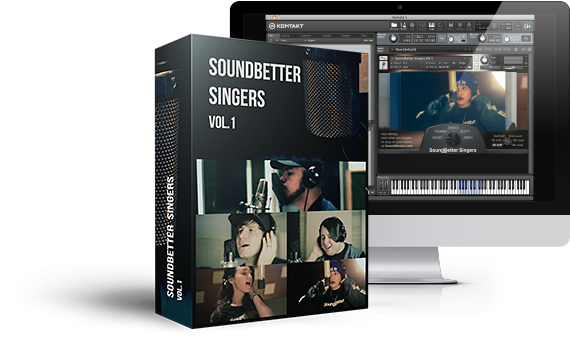 SoundBetter Singers contains vocals from 5 top SoundBetter world class singers. It features Ah’s, Oh’s and Ooh’s across each singer’s range, with soft and loud variants. This library of free background vocals is perfect to add “lift” to your songs in an easy manner. It is suitable for a wide range of styles, such as pop, rock, trance, tropical house, synthwave. 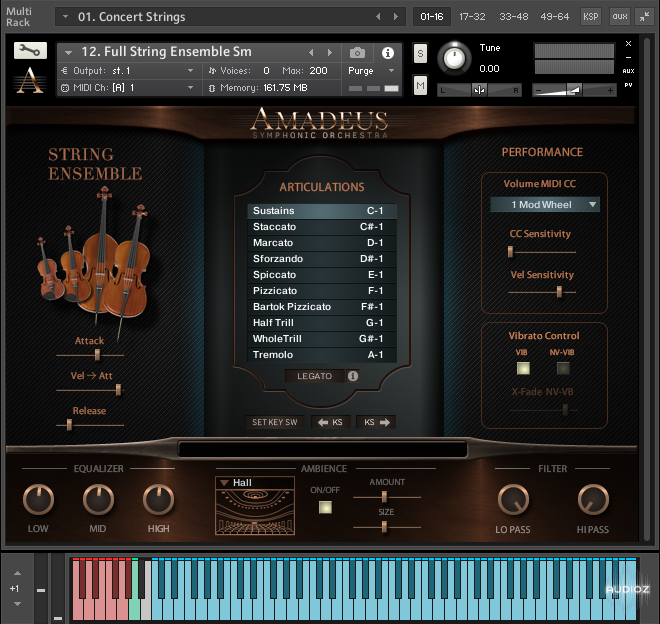 Cmusic Production has introduced Small Saw, a free NI Kontakt sample library featuring the sounds of a saw being played with a violin bow. Small Saw is quite an unusual instrument, but you’ll probably be familiar with its sound if you’ve ever watched older movies or cartoons. It’s a theremin-like sound produced by playing a saw with a violin bow. The saw vibrates and the player bends its metal surface to alter the pitch. To get a better idea of what it sounds like, check out the official demo video which is embedded at the top of this page. It shows the artist Igor Talashov playing the instrument at a concert. • 60 key samples and 1 sub sample. • 2 velocity layers and 1 sub layer. • 24-bit/44.1kHz samples with ncw lossless compression. ‘ChillerScapes’ was born out of my love for Horror, but also working on version 1.7 of my debut sample library, ‘Reflection’. I added a Soundscapes category in version 1.6 which was produced by mangling the samples in various different way, and in version 1.7 I added some more. Whilst working on that I thought it would be useful if you could have a single knob which would evolve the sound and make it more intense, but that would be too much work for Reflection, and not really in-keeping with it. Fake Acoustic Drum Kit is the pack of pseudo-acoustic drum one-shot sounds made completely in NI FM8 synth. 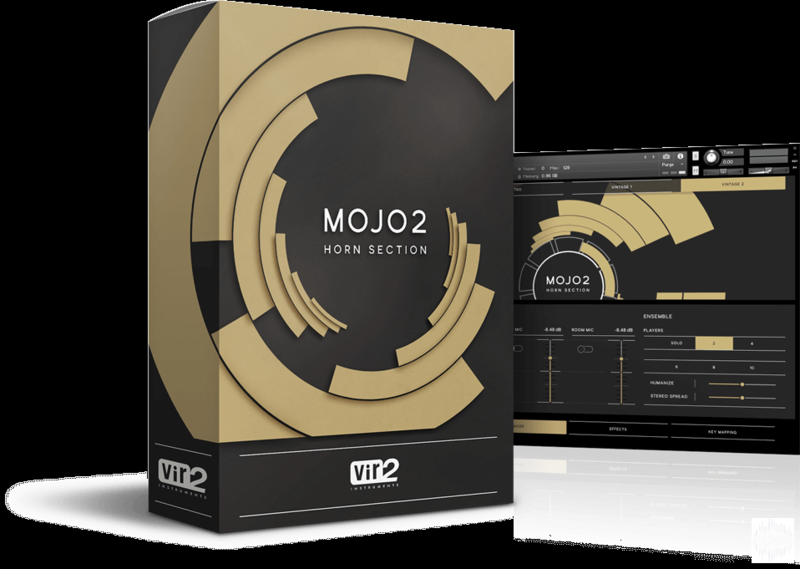 In a single pack you get more than 500 original high quality quasi-convincing drum sounds, meticulously recorded and sorted by instruments. For free. Contains over 150 presets that with a wide range of sounds including hits, pads, stingers, FX, etc. Built in effects section and arpeggiator. Samples have been converted to Kontakt NCW files to save space without compromising sound quality. A resonant metal bowl, perfect for percussive underscore, bowed effects and cinematic textures. 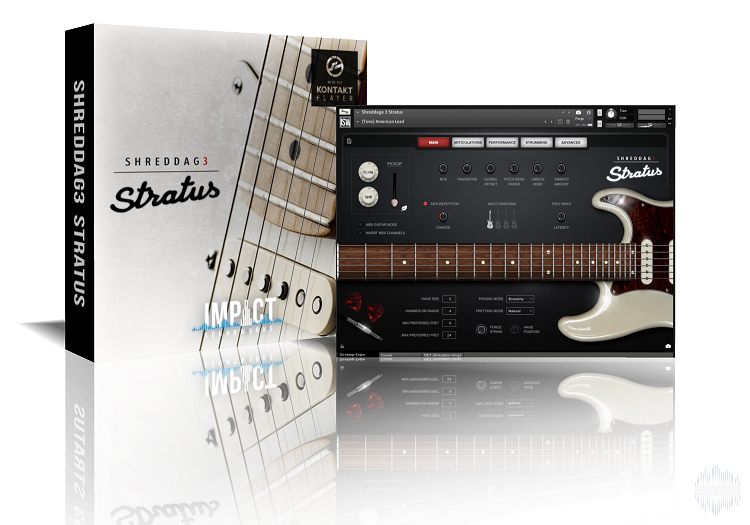 ​With our simple and user friendly interface you will be creating wonderful sounds within a matter of moments. ​The instrument includes over 20 convolution reverb settings which allow you to warp and mangle the sounds beyond recognition.